Accelerated patent examination helps give you patent protection quickly. For example, using various accelerated patent examination programs available at the U.S. Patent and Trademark Office, I have been able to get patent applications examined and allowed for my clients in as little as 3-1/2 months for patent applications. In the article, you will learn how to make effective use of accelerated patent examination. This article is first in our Five Minute Patent Boot Camp™ series. The Five Minute Patent Boot Camp™ series is a collection of articles, videos, and other material designed specifically for the busy executive, decision maker, or entrepreneur. These articles provide essential concepts to help you make more effective business decisions about protecting product innovations and industrial design. Having an unissued patent creates uncertainty. Accelerated patent examination helps remove this uncertainty. An issued patent is a potent tool discourages competitors from copying your product innovations. Accelerated patent examination helps you get to issuance quickly. If you compete in a fast moving space where technology is constantly changing or improving, accelerated patent examination may be the best choice toward for preserving your window of opportunity. For startups, accelerated examination helps you quickly gain real intellectual property assets and bring confidence to potential investors. Accelerated patent examination is most potent in patent examination groups, or art units, where examination times are predicted to be slow. At the time of this writing, according to U.S. Patent Office patent dashboard, it takes on average about 1 ½ years for a patent examiner to examine at a patent application after it is filed. According to the U.S. Patent Office’s examination prediction tool, 74% or 390 out of the U.S. Patent Office’s over 500 examination art units are predicted to take at least a year, for the time of filing, to examine a patent application. 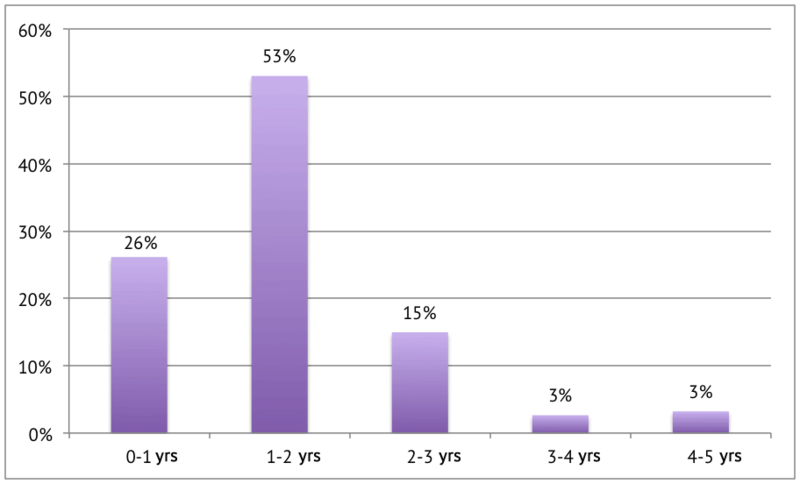 21% or 110 of the U.S. Patent Office’s examination art units are predicted to take at least two years. You may want to consider one of the various accelerated patent examination options available to you if you application is likely to fall into an examination group that does not meet your business timeline. Track One Prioritized Examination gives you accelerated patent examination in exchange for a fee and a few restrictions. At the time of this writing, the fee for a small entity (i.e. a company with under 500 employees) is $2000 plus the regular fee of $730 patent application filing fee. According to U.S. Patent Office prioritized examination statistics, the average time for first examination from the time the track one petition is granted is about 2.4 months. In my experience, it usually takes less than three months, from the time of filing, for a patent application to be examined under this program. This program does have a few restrictions that should not affect most patent applications. The most important one is that your application can have a maximum of 4 independent patent claims, and 30 claims total. A Track One prioritized examination petition must be submitted at the time the application is filed. Alternatively, it can also be filed with a request for continuing examination(RCE). The 12-Month Accelerated Examination Program gives accelerated patent examination in exchange for submitting pre-examination search and analysis to reduce the Examiner’s workload. The patent application is typically examined in less than three months after filing. The search and analysis has to be submitted in a specific format and meet strict requirements set forth by the U.S. Patent Office. The analysis or “accelerated examination support document” is typically 50-80 pages long. Each phrase within each patent claim must be compared and analyzed with the most relevant references found in the search. These documents along with the petition for accelerated patent examination must be submitted when the patent application is filed. The patent application is limited to 3 independent claims and 20 claims total. The accelerated examination search and support document become public record. Replies to Office Actions can be potentially more complex because they may require updating the search and support document. The application can be kicked out of the program during the pre-examination process for technical errors with the drawings or missing documents during filing. The accelerated examination search and support documents can be rejected and have to be amended. Statistically, accelerated patent examination under this program has a significantly higher allowance rate than the over average for the U.S. Patent Office. Over 40% of applications under this program received a Notice of Allowance without any rejections. This is significantly higher regular patent applications that generally have an 85% to 95% have at least one Office Action rejection. While some argue that having an accelerated examination search and support document as public record is a bad thing, I believe that disclosing and explaining references ourselves rather than having the Examiner do it can make for a stronger patent. In my personal experience, I believe that the 12 month accelerated examination program can be very beneficial under the following specific circumstances. The patent claims are very strong and there is very little relevant prior art making first action allowance a realistic possibility. The patent is of significant importance to your company and having the search and examination support document public might help strengthen rather than weaken the patent. Mark Nowotarski interviewed me for an article in IPWatchdog about my experience with the 12-month accelerated patent examination program. US Patent Office main page for the 12-month accelerated patent examination program. An example of an accelerated examination search conducted by me and a trusted colleague, Lin Crampton, and an accelerated patent examination support document both successfully submitted under the accelerated examination program. The patent received a notice of allowance in less than five months from the day of filing. The application was allowed, as filed, without any rejections. Under this program, one of the inventors simply provides written documentation to their patent attorney or agent that they are 65 or older. This written documentation can be any official photo ID such as a driver’s license or passport. After filing the application, the patent attorney submits a petition that states that the patent agent or patent attorney has evidence in their possession showing that the inventor is 65 or older. The petition is automatically granted. The U.S. Patent Office does not charge any fee for accelerated patent examination under this program. Depending on the examination art unit, the patent application can be examined anywhere from two months to one year after filing. The clear advantage of this accelerated patent examination program is that it is free and automatically granted. The disadvantage is that it can be slower than prioritized examination or the 12-month accelerated examination program. The Patent Prosecution Highway is an accelerated patent examination program that significantly reduces time to first examination and increases the chances of allowance without rejection. If your patent application was originally filled as a Patent Cooperation Treaty (PCT) or foreign patent application in a participating country and has allowed claims, you U.S. patent application may qualify for the Patent Prosecution Highway. Similarly, if your U.S. patent application has allowed claims, than your foreign patent application filed in a country participating in the Patent Prosecution Highway can be granted accelerated patent examination under the program. Where Patent Prosecution Highway really works well is filing a U.S. application under Track One and then filing foreign patent applications, such with the European Patent Office under the Patent Prosecution Highway. Assuming there is not a PCT application, foreign applications must be filed within one year of the original U.S. patent application. Since in my experience, accelerated patent examination under the Track One program generally leads to allowance in less than six months, the risk of foreign filing is significantly reduced. The U.S. Patent Office has additional resources and information on the Patent Prosecution Highway. In the past, design patents were typically examined in less than a year so accelerated patent examination was not necessary. However, probably because of the recent renewed interest in design patents, examination has slowed down. 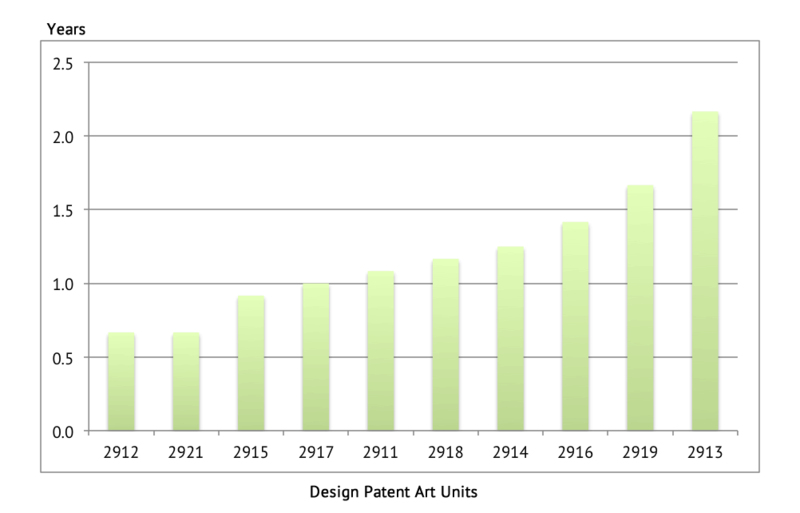 Six out of ten design patent examination art units are predicted by the U.S. Patent Office to take over a year from filing to examine a design patent application. Two of the ten take more than 1 ½ years. Thankfully, the U.S. Patent Office now offers expedited patent examination of design patents. In order to qualify for this program, you must conduct a design patent search. You do not have to submit the search, but you must disclose to the U.S. Patent Office the classifications that you searched. In addition, there is a petition fee. Currently, this fee is $450 for small entities (i.e. companies with less than 500 employees). The U.S. Patent Office creates various pilot programs to help foster innovation in various sectors according to priorities set by the President or Congress. For example, in the past there was the Green Technology Pilot program that allowed accelerated patent examination by demonstrating that the claimed subject matter of the patent application fostered clean energy technology or reduced green house gases. There were 3533 patent applications granted accelerated patent examination status under this program until it expired in March 2012. I successfully had six applications granted accelerated examination status under this program. Currently, the U.S. Patent Office has several small initiative and pilots programs. These include the Patents for Humanity Program, which is actually a contest, decided once a year, that awards accelerated patent examination certificates to about five to twenty winners and honorable mentions. For more information, see: the U.S. Patent Office Patents for Humanity Initiative. Another current initiative is the Glossary pilot program that runs through June 2, 2015. This accelerated patent examination initiative is currently limited to 200 applications and a limited number of specific patent subject areas. For more information see the U.S. Patent Office Patent Glossary Program Initiative. I have successfully had over thirty patent applications examined under various accelerated patent examination programs. These include four applications under the 12-month Accelerated Patent Examination program, two patent applications under Track One Prioritized Examination program, and six applications under the Green Technology Pilot Program. Before the patent application is filed, we can discuss the possibility of accelerated examination of your patent application. Based on the subject area of your company’s products, and from a patent search, I should have a pretty good idea what technology center and possible art units where you patent application may be examined. From this, we can estimate in advance how long the application may take to get examined. If you are interested in accelerated patent examination of a utility patent application, or expedited examination of a design patent, please do not hesitate to contact me to discuss your company’s products and your particular circumstances.